The Gilchrists are an American family that deals with ordinary problems under extraordinary circumstances. Sure, we all make mistakes, but theirs just happen to make the evening news. They're loving, fun and a little crazy. In other words, just like everybody else. With one exception: they live in a very special house -- the White House. President Dale Gilchrist (Bill Pullman, Independence Day) is trying to perform the important duties of his job while also doing right by his family -- not an easy task when his place of work just happens to be the Oval Office. First Son Skip (Josh Gad, star of Broadway sensation The Book of Mormon) is one of the administration's biggest liabilities and his clumsy attempts to earn his father’s respect often go awry. Yet, despite his many well-intentioned yet misguided efforts, he is the glue that holds this family together. 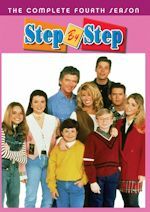 Stepmom Emily (Jenna Elfman, Dharma and Greg, Accidentally on Purpose) is desperately trying to win over the affections of the kids -- including overachieving daughter Becca (Martha MacIsaac, Superbad), who is facing her first lapse of judgment, and twins, Xander (Benjamin Stockham, Sons of Tucson) and Marigold (Amara Miller, The Descendants) -- but the brood somehow manages to stay one step ahead of Emily. Always in the president's corner is Marshall Malloy (Andre Holland, Friends with Benefits), the savvy and loyal White House Press Secretary, whose biggest challenge is cleaning up after the Gilchrists. Whether it's entertaining foreign dignitaries or sneaking away for a night out, dealing with middle-school crushes or putting out fires, figuratively and sometimes literally, there's never a dull moment inside the Gilchrist White House. It is Modern Family meets The West Wing in this election-year comedy from Emmy-winning executive producer/director Jason Winer (Modern Family). The executive producers are Winer, Josh Gad and Jon Lovett (former White House speechwriter). Josh Gad (Skip) also serves as an executive producer and co-creator of this series. Gad brings wit, humor and depth to the small and large screens and to theater. He began his career in theater after graduating from the Carnegie Mellon School of Drama. He then turned his sights to comedy and co-created his own comedy group – The Lost Nomads Comedy Troupe. His television credits include Back to You, and ABC's Modern Family, as well as the animated series Good Vibes, where he voiced the character of Mondo. Gad also starred in the title role in Gigi: Almost American. He also recently guest starred on Fox's hit show New Girl. Gad took Broadway by storm starring as Elder Cunningham in the Tony Award-winning comedy musical Book of Mormon, written by the creators of South Park, Trey Parker and Matt Stone, and Tony winner Robert Lopez. Gad was nominated for a Tony, Drama League and Astaire Award, and won the Outer Critic Circle Award for his performance. On the big screen, he will next be seen starring as Steve Wozniak in the highly anticipated Steve Jobs biopic, Jobs, opposite Ashton Kutcher and co-starring in Fox's film The Internship, opposite Will Ferrell and Owen Wilson, which will be released on June 7, 2013. Jenna Elfman (Emily) is best known for her role as Dharma in the hit sitcom Dharma and Greg, for which she garnered a Golden Globe Award, three Emmy Award nominations and two TV Guide Awards. 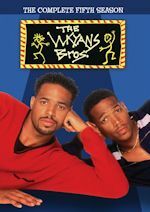 Other notable television appearances include guest-starring roles on Two and a Half Men, My Name is Earl and Brothers and Sisters. She also starred in short-lived CBS sitcoms Courting Alex and Accidentally on Purpose in recent years. This series marks Elfman's return to situation comedy after critically-acclaimed guest appearances on Shameless and the final season of the award-winning drama Damages, with Glenn Close and Rose Byrne. She appeared in the hit comedy film Friends with Benefits, starring Justin Timberlake and Mila Kunis, and her film credits also include Keeping the Faith, opposite Ben Stiller and Edward Norton and Ron Howar's Edtv, opposite Matthew McConaughey and Woody Harrelson. Martha MacIsaac (Becca) is perhaps best known for her role in Judd Apatow's hit movie comedy Superbad, where she starred alongside Michael Cera. Additional feature film credits include the remake of Wes Craven's The Last House on the Left, the sci-fi thriller The Thaw opposite Val Kilmer, as well as the recently completed Faith, Fraud and Minimum Wage and Dead Before Dawn 3D. She was born and raised in Canada. She began her acting career at the age of 11 on television in the title role in Emily of New Moon. MacIsaac had a recurring arc on Greek and starred opposite Kelly Rowan in the CTV telefilm In God's Country. Additionally, she has lent her voice to numerous animated series including Family Guy, Spyburbia, Friends and Heroes, Magi-Nation and Di-Gata Defenders. Andre Holland (Marshall) is a veteran of stage. Holland's recent stage credits include All's Well That Ends Well and Measure for Measure at the Public Theatre's Shakespeare in the Park, and The Whipping Man at the Manhattan Theatre Club. Among his television credits are Damages, Burn Notice, Friends with Benefits, Law & Order, and The Black Donnellys. Amara Miller (Marigold) got her start as an actress as George Clooney's daughter in the Oscar-nominated film The Descendants. Miller enjoys dancing, swimming and riding her bike to school. She is a purple belt in karate and a talented illustrator. Her current project is to organize a fundraiser with classmate Mackenzie Mangan to benefit the Plastic Pollution Coalition to help raise awareness and spark ideas to reduce single use plastics at home and in school lunches. Benjamin Stockham (Xander) is perhaps best recognized for his role as Robby Gunderson, opposite Frank Dolce and Matthew Levy, on Sons of Tucson. 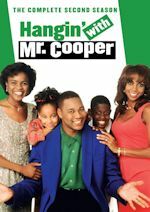 His other television credits include guest-starring appearances on CSI: New York, Criminal Minds and Rizzoli and Isles. From his very first audition for the feature film Quarantine, where he later earned a small but memorable role, Stockham impressed the director with his drive and desire to work. He appeared in a commercial for the investment firm Fidelity, which still airs today. Since then, he has appeared in numerous commercials that have aired nationally. Bill Pullman (President Gilchrist) is perhaps best known for his role as Jack Callaghan in While You Were Sleeping. His numerous feature films include Spaceballs, Independence Day, where he starred as President Thomas Whitmore opposite Will Smith, Mr. Wrong, Casper, alongside Ellen DeGeneres, The Last Seduction, Singles, Nervous Ticks, A League of Their Own, Sleepless in Seattle, Lost Highway, Lake Placid, Ignition and Scary Movie 4. His television credits include The Tracey Ullman Show, Revelations and Torchwood. He has also appeared in several television movies including Home Fires Burning, Crazy in Love, Mistrial, Merry Christmas George Bailey and Tiger Cruise. We received three episodes for review. This review will be based on these three episodes. Following a public mishap, Skip (Josh Gad), the First Son of President Gilchrist (Bill Pullman), is ushered back to the White House so he can be kept under careful watch. Meanwhile, President Gilchrist attempts to keep a cool atmosphere when South American leaders visit to discuss a trade agreement. Elsewhere, Emily (Jenna Elfman) tries to make peace with her stepdaughter Becca (Martha MacIsaac), who has a surprise in store for everybody. The episode was written by Peter A. Knight and directed by Jason Winer. This episode deals with the aftermath of Becca's "surprise" and the President (and the rest of the world) find out what it is. The episode was written by Jon Lovett and based on a story by Josh Gad, Jason Winer and Jon Lovett, and directed by Jason Winer. The President tracks down Becca's "baby daddy." Rene Auberjonois guest stars. The episode was written by Mike Royce and directed by Jason Winer. 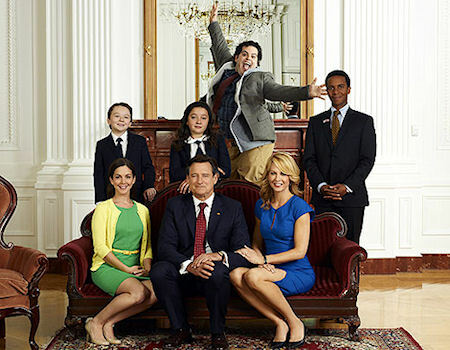 The show is about your average family, but they happen to be living inside the White House. The plots are really about family matters and the White House is just a nice backdrop. This is a comedic look at what a large family would do if they were living in the White House. Every family has their ups and downs, and we see that here. We have basically two pilot episodes for this series. The actual pilot will not air until the second airing because NBC made a decision to have a "sneak peek" premiere following the Monday finale of The Voice, so the pilot episode will air as the timeslot premiere in January. Thus, it seems the producers made another episode that sets-up like a pilot in the episode "Putting Out Fires" (aka "Meet the Parent"). I actually like this episode better than the pilot episode itself. It explains everything better and we actually get to know who the characters are. I didn't see this episode before the actual "Pilot" so I was a bit confused on why we are going backwards. But after watching "Putting Out Fires" first, the "Pilot" makes more sense. We get to see how first-son Skip came to the White House from college, where he has been the last seven years. We also get a better sense who the two younger kids are. I also had no idea that Emily is actually the President's second wife, so she is the step mother of all four kids. "Putting Out Fires" makes that more clear. The "Pilot" episode revolves a lot around Becca's pregnancy, and "Putting Out Fires" shows us how it got "leaked." And that episode shows the comedic skills of Josh Gad better. There is another episode we got for review as well titled "Everything's Nice in the Pool." I assume this will be aired third. It continues the central plot of Becca's pregnancy and we see the President having tracked down the "baby daddy" (that's two words). Rene Auberjonois guest stars in this episode and I kept thinking of his character from Benson, where he worked at the Governor's mansion...now he is working at the White House, but unfortunately he isn't playing Clayton Endicott III. He plays an aide to First Lady Gilchrist in this episode and as always he does a fine job. I really like the performances of Josh Gad as Skip and Martha MacIsaac as Becca in this series so far. Gad steals every scene he is and is very wacky. I just can't imagine a first-son being like this. Fortunately the second son Xander is more sane. Anyhow, Gad is definitely the funniest on this show and you can tell it is more about him than the President. He is especially funny in "Putting Out Fires" and "Everything's Nice in the Pool." Since I saw the "Pilot" first I kept thinking 'who is this guy and why is he so weird?' but he will grow on you. And since you all will see "Putting Out Fires" first, you'll love him at first sight. I would like to see more chemistry between The President and First Lady. They don't have much interaction yet, which doesn't seem that realistic. We see the President interacting with the kids more and the same goes for The First Lady. Jenna Elfman is however doing a good job in this series so far and Bill Pullman looks exactly like a President type (come on he was also President in Independence Day!). I also think the press secretary Marshall Malloy (one episode said his name was Marshall Mathers through) is very good on this show. He is funny, smart and gets things done. Hopefully the actual press secretary we have at the White House in real life is like him! First off, today is Bill Pullman's 59th birthday, so Happy Birthday, Mr. President! This series is NBC's answer to Modern Family but I just don't think it will do anywhere near that series in ratings. It will have a solid sampling following The Voice tonight, but come January it is getting the low-rated and tired The Office as its lead-in. This comedy is going for more of a broad audience and nothing on NBC Thursday goes after a broad audience. NBC would have been better off launching this in September after Go On rather than The New Normal. It would have had a nice two months or so of great press thanks to the Election. I think that was a missed opportunity. Now it is likely going to get lost in NBC's dead schedule this winter, which is a shame. As for the Modern Family meets The West Wing, that is a fair tagline. However, the show is not there yet in quality of those shows and rightfully so. It has potential but it could get tiresome really quick (think That's My Bush!). Right now the best series dealing with the White House is Scandal and probably Veep. The latter is a comedy so that is more of a fair comparison, but I don't think this show is going after awards like those shows. This show is more broad and wackier. This show knows what it is and NBC is banking on it being a broad success. It is much better than the first-run syndicated sitcom The First Family by a lot, though. I personally did like the show a lot, especially the episodes "Putting Out Fires" and "Everything's Nice in the Pool." The "Pilot" is a little confusing at first, but still had solid laughs. Josh Gad is a star in the making on television and it will be nice to see him shine on this vehicle. I loved his performance last season on the Modern Family episode "Punkin Chunkin" and he will bring that type of energy on this show. The First-Son is front and center of this show! Skip for President! Discuss the show after you watch it on Monday, December 17 on our message board. From the Gotham Bus Company depot to the Raccoon Lodge, WPIX11 is NY's home for The Honeymooners. New Yorkers have been ringing in the New Year with Ralphie Boy on WPIX11 since 1996, when The Honeymooners Marathon (which began airing on the station in 1976) moved to New Year's Eve. This year, the WPIX11 Honeymooners Marathon of 26 classic episodes begins Monday, December 31, 2012 at 11pm and runs until 4am – with a break for WPIX11 Morning News – then resumes at 9am and runs until 5pm on January 1, 2013 for a total of 13 total hours. 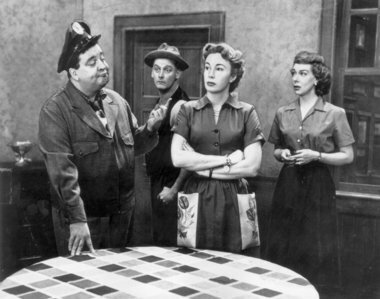 The WPIX11 Honeymooners Marathon featuring our favorite Brooklyn residents Ralph Kramden (Jackie Gleason), Ed Norton (Art Carney), Alice Kramden (Audrey Meadows) and Trixie Norton (Joyce Randolph) will include the following episodes in order of airing: "T'was the Night Before Christmas, "Man From Space," "Pal O'Mine," "Brother Ralph," "Hello Mom," "The Baby Sitter," "A Dog's Life, "Pardon My Glove," "Head of the House," and Alice and the Blonde" from 11pm-4am. 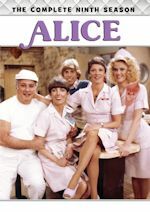 Then a five-hour break for the PIX11 Morning News from 4am-9am before more classic episodes air: "TV or Not TV," "Funny Money," "The Golfer," "A Woman's Work is Never Done," "A Matter of Life and Death," "The Sleepwalker," "Better Living Through TV," "A Matter of Record," "The $99,000 Answer," "Mama Loves Mambo," "Please Leave the Premises," "The Worry Wart," "Unconventional Behavior," "Dial J for Janitor," "A Man's Pride," and "Young at Heart." So ring in the new year with Ralphie Boy, New York! The Honeymooners regularly airs on WPIX every Sunday night (early Monday mornings) from 2-4am and the sitcom just had a marathon on Thanksgiving Day.